Keeping your oven clean has never been as easy as it is now with our oven cleaning service in Harrow. We love working for our customers in this neighbourhood and have been able to help out a lot of people who needed oven cleaning for their kitchens. 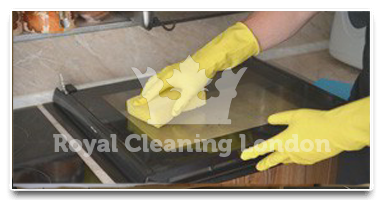 Royal Cleaning provides a lot of other services that can make your kitchen shine, such as hob, extractor and stove cleaning and we also clean all types of ovens from aga through single to double ovens. There's nothing we can't handle and as long as you have a working oven, we can clean it and get it shining again. The only thing you have to do for a free quote is call - 020 8050 2865 where one of our associates will help you with any questions that you could have. We always try to get our clients their money's worth when it comes to oven cleaning and so far we've been doing a good job satisfying almost all of them in Harrow. 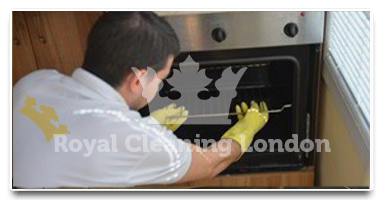 All of our oven cleaning clients in Harrow are entitled to the 200% guarantee policy of Royal Cleaning, which means that if the oven cleaning was not from the highest possible standard and was not enough to satisfy the customer, he can call and request a free re-clean if 48 hours have not passed yet. From my conversation over the phone till the end of the cleaning, me and my oven were treated royally. Your cleaner did a great job and he left no mess after the job, something that others have done before. I am really impressed. Amazing result at low rates. Really worthwhile and worth the money. I am pretty far from the thought that you'll be working at such low rates for a long time, but hey, it's worth it! The cleaning was fine for me, I mean good enough for such a cheap price. I live in Harrow and by now I think that this is the best oven cleaning company I have used so far and as a cleaning fanatic I require a lot. I May use your services again if you continue having such low prices. Putting all pluses and minuses on the equasion makes you see that this is a good company.